Madison Hubbell and Zachary Donohue have had a whirlwind of a year. They won their first U.S. Championships; came in fourth at the Olympic Games, just missing the podium; and completed their season by winning the silver medal at the World Championships. Looking back at the season, one of the team’s most memorable moments was standing on the podium at the World Championships. ice dance teams in the world. 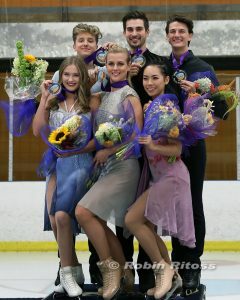 There have been a few significant changes made within the ice dance world by the International Skating Union (ISU) that has brought about some new challenges and obstacles for ice dance teams to overcome. The rhythm dance (formerly the short dance) has particularly pushed the team to work harder at improving their technical abilities while working to maintain their performance quality. In this particular rhythm dance (Tango Romantica), teams are required to implement a full one minute pattern within a short two minute and 50 second timeframe. When it comes to the free dance, Hubbell and Donohue have opted to try something new for them by skating to Romeo and Juliet. Most of their programs, in the past, have not been based on a story and have been somewhat untraditional so this will be a new style for them to explore. They are hoping that it brings them to a new level of growth within their skating skills and expands their artistic abilities. Hubbell and Donohue have opted to start their season off by competing at two Grand Prix events back-to-back. They will be competing at Skate America and a week later at Skate Canada. It would seem that having two assignments so close together would be overwhelming, but it is just the way that they wanted to arrange it for this particular season. Gradually, Hubbell and Donohue have made their way from the bronze, to the silver and now occasionally they find themselves with gold. The team has not yet won their first Skate America gold, but they are hoping to do just that in Everett, Washington. 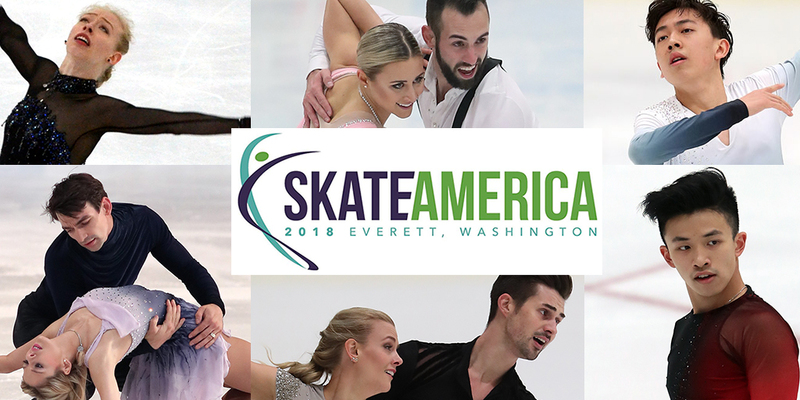 Skate America is October 19-21 in Everett, Washington. Figure Skaters Online’s contributing writer, Michelle Kennedy will be in Everett providing live coverage! Make sure you follow Figure Skaters Online on Facebook and Twitter and check www.figureskatersonline.com for updates.